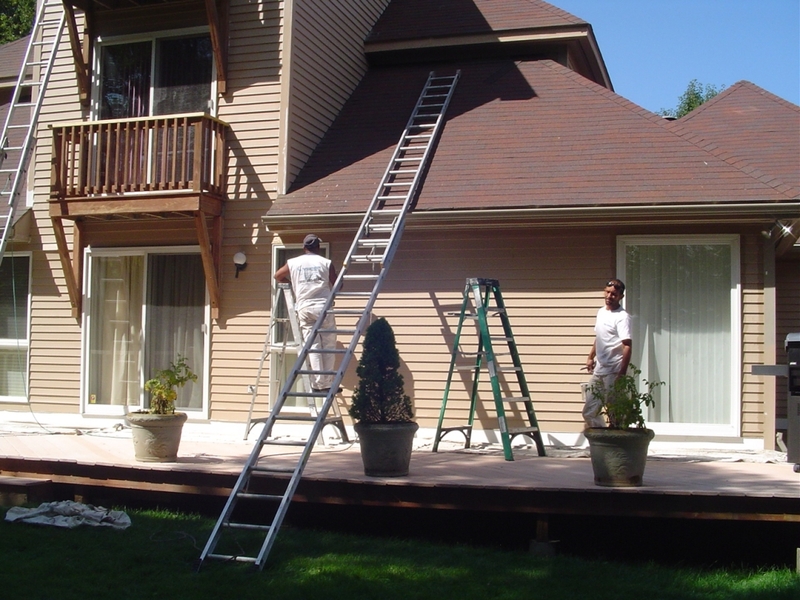 Exterior painting, repair and restoration are projects that require a certain set of skills, experience and expertise along with prudent planning. While you could hire a professional to handle the project, you can obtain all of the necessary information you need right here and save yourself valuable time and money. DIY projects are fun and rewarding, they usually cost significantly less than paying for a skilled pair of hands, and they make for excellent family bonding activities that will not only yield the same results in terms of quality, but will also allow you and your loved ones to acquire a lifelong skillset. 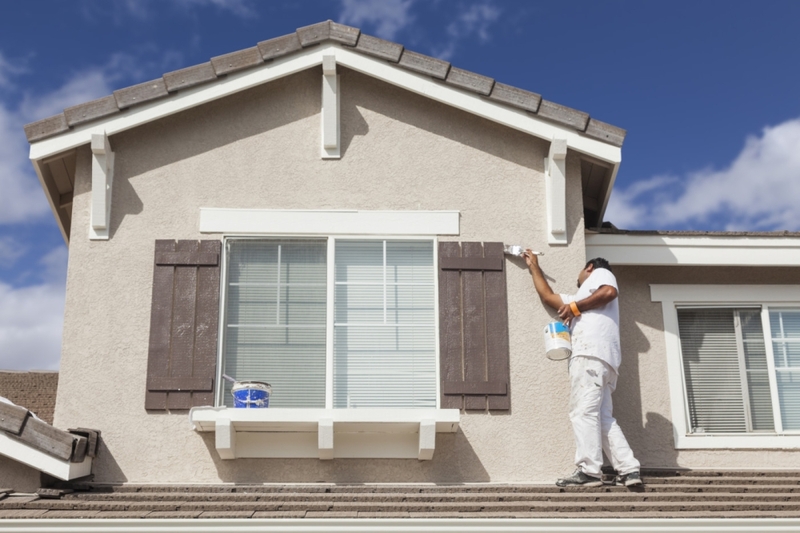 Here is everything you need to know about painting your home’s exterior. The first major element of a successful painting project, one that many people oversee, is taking into consideration the upcoming forecast and choosing the perfect time of the year. You need plenty of sunshine, dry air and as little humidity and rain as possible in order to let the new paint and all its layers adhere to the surface successfully and dry off quickly. Moreover, a summertime house-painting project will allow for some fun games and DIY creativity for the whole family to enjoy, so why not let your kids build a bird nest, as well? When beginning your painting project, always keep in mind that new paint cannot adhere to cracked or chipped surfaces, so you will first need to remove the existing coats of paint by sanding and washing the surface. You will need to use an abrasive sand block to remove any surface irregularities and resort to scraping only if necessary. Be sure to scrape every inch of old paint, including those hard-to-reach places, such as door and window frames, and knobs. 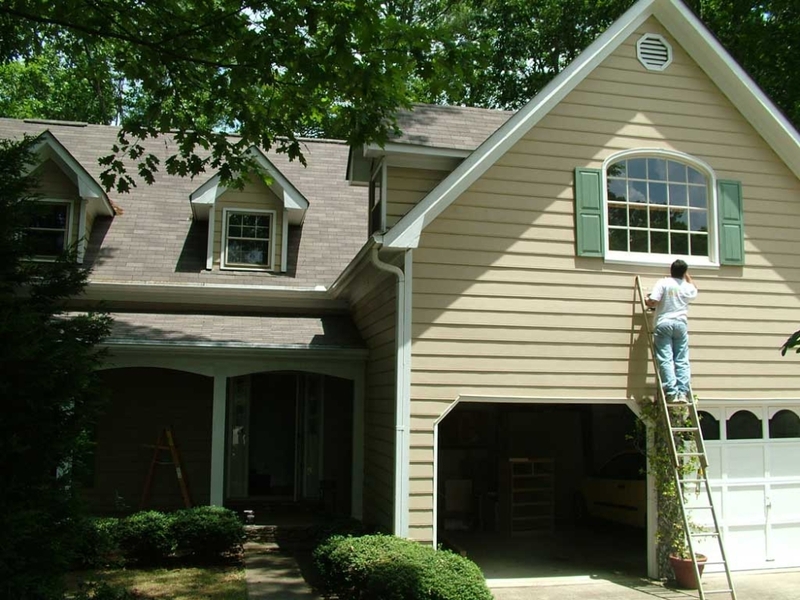 Before moving on to a primer and paint application, you want to mend all the cracks, holes, deteriorating elements and all the other damage your home’s exterior might have suffered over the years. Primer and the subsequent layering will not stick to deteriorating surfaces and will only worsen the existing problem, causing costly repairs in the near future. In case there is any cracked or deteriorating wood, you will need to replace it completely or use a wood filler if the damage can be localized and repaired. You can never be too diligent when applying the paint in order to avoid the onset of any cracks, breaks or irregularities. Therefore, a coat of primer is a good solution to ensure a successful painting project. The rule of primer application is one coat of primer, sand the surface, and then apply your main colour layers. Colour manufacturers have been busy in recent years, though, combining primer and paint into a single product, which will require you to apply fewer total layers, cutting down on time and expenses. Now is the time to apply surface coatings and subsequent paint layers. Before you apply the paint, you want to use a premium texture coating to hide all irregularities and ensure the surface is primed and prepared for paint application. This way your paint job will be without the risk of any damage and you can rest assured it will last for years to come. Texture coatings are great solutions for cracked or damaged surfaces, and an excellent step up from traditional primers. Next, you want to apply the paint. Make sure to use quality paint from reputable manufacturers to ensure fewer paint jobs in the future, and avoid any imbalances by pouring all the paint into one big canister, mixing it together for a unified hue. Lastly, you want to let gravity be your friend and a helping hand by working your way from top to bottom. This way you will cover up any inevitable spills easily and ensure a thorough and successful painting project. 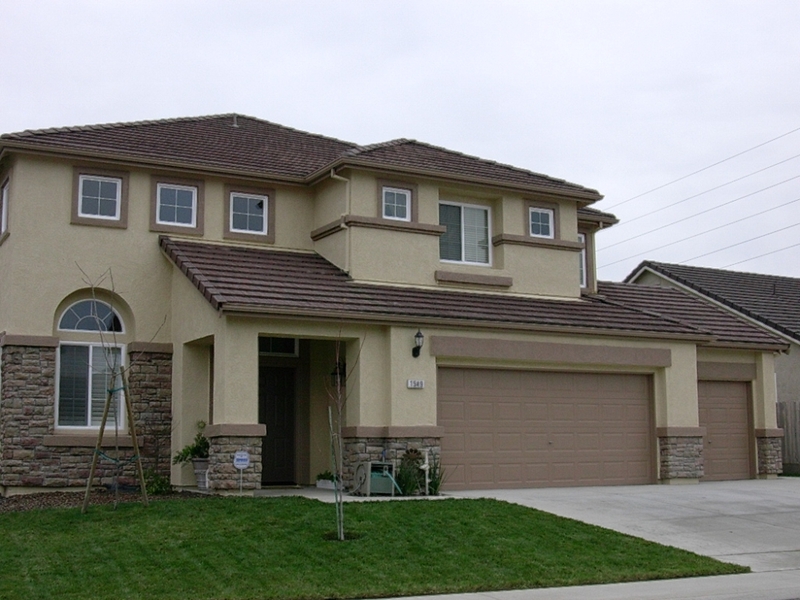 Exterior painting is notably more demanding than any interior painting project, due to the exposure to the elements and the need for careful planning and diligent execution of the afore-mentioned steps. Make sure you follow these essential guidelines and you will have an easy and rewarding painting project the whole family can enjoy.